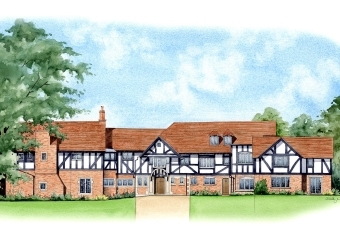 We produce artist impressions from your technical drawings or sketches. 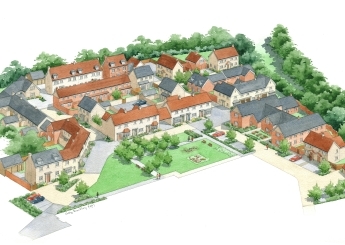 These are easier for potential buyers to interpret than the technical drawings from an architect, showing how a building project will fit in with its surroundings. Click on an image to view a larger version, move through the slideshow by clicking on the arrows at the left and right of the screen, or use the keyboard arrow keys, or just swipe on a touch screen. 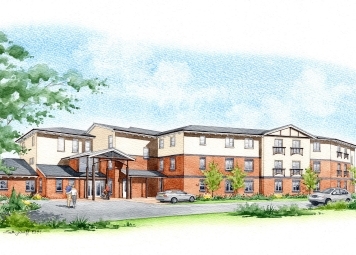 Several examples of artist impressions of new build carehomes. 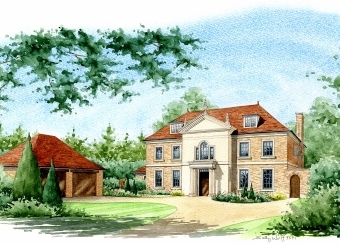 Whether it's for an estate of new homes or sale of a single property, I can provide a high quality artist impression of the property for your advertisments. 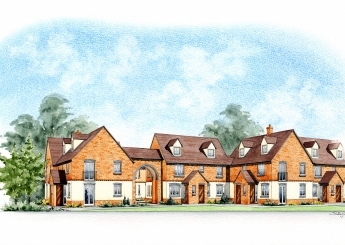 A new apartment block, whether large or small, needs a quality artist impression of what is going to be constructed. 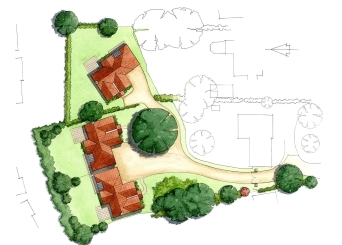 High quality aerial views from the architecture drawings of an estate. 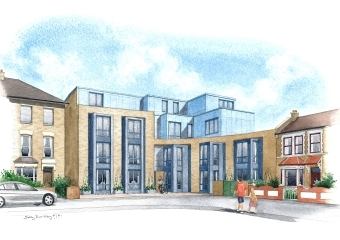 Accurately rendered artist impressions, showing relative proportions of the building sections. Street scenes show the general surroundings, enhancing your adverts. Make a great impression with a site plan. It looks so much better than just an architect's drawing. 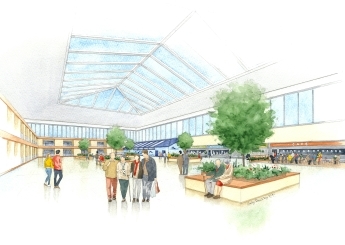 Internal and external views of industrial buildings shopping centres, hotels are just some of the projects that have benefited from an artist's impression of the work being done.